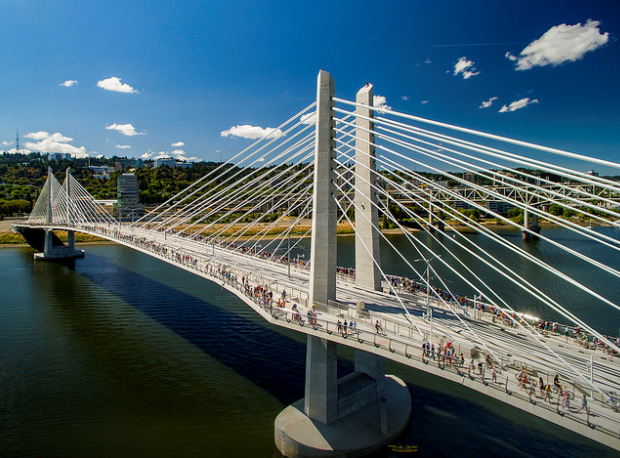 You’ll soon see something new on TriMet’s Tilikum Crossing, Bridge of the People. We’re installing 12 small wind turbines on top of poles on the bridge. The turbines will sit near the outer edge of the multi-use pathways on both sides and either end of the bridge. They will be placed atop existing poles that are about 30 feet tall and hold up the overhead wire, which powers our MAX trains. The installation will begin Monday night, March 25, and take about one month to complete. While trains, buses and streetcars will not be disrupted during installation, the pathways will be temporarily affected for four nights. The wind turbines will be installed mainly in the overnight hours to reduce the inconvenience to those who use the pathways. 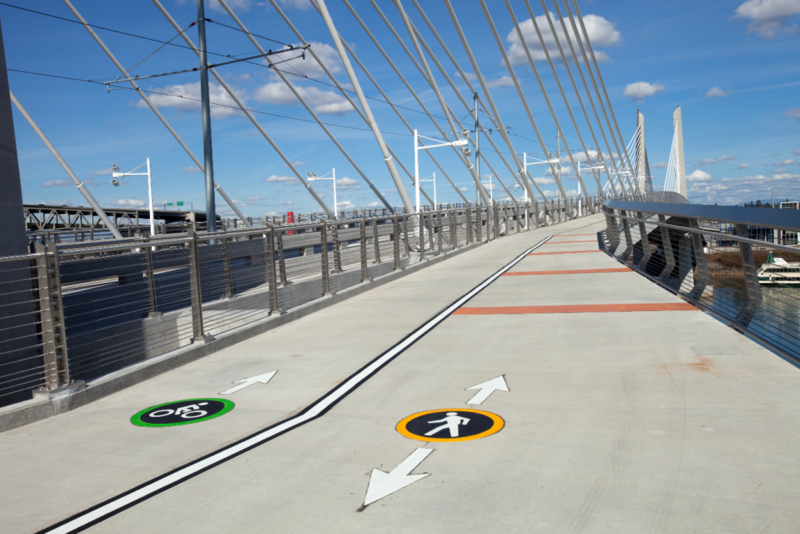 We’re also closing just one pathway at a time, with signs directing bicyclists and pedestrians to the open path. When the north path is closed, the south path will remain open, and vice-versa. The turbines, technically called vertical axis wind turbines (VAWTs), are about four feet tall and four feet wide with three curved blades. They get inspiration from those found atop the twelve | west building in southwest Portland, at the Philadelphia Eagles’ Lincoln Financial Field, outside the Detroit Metropolitan Airport and even inside the legs of the Eiffel Tower. 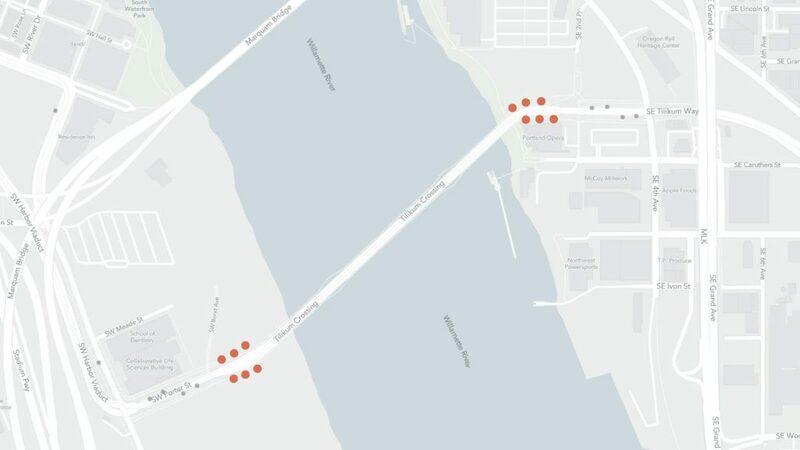 The 12 turbines will be evenly located, with three on the north side and three on the south side of the bridge, at both the east and west ends. The installation should be completed by April 30. The turbines will then be tested and activated sometime in May. They will generate electricity to be stored in batteries that power lights, which will shine on the turbines at night. 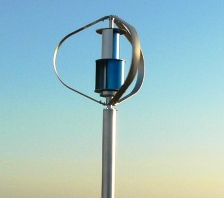 The turbines are designed to generate power even in low wind conditions, as little as two miles per hour. The turbines are one of the final elements of the MAX Orange Line, which was constructed with a focus on sustainability. The turbine project cost is $350,000. The project is a partnership with Portland State University’s Mechanical Engineering School, which will track the performance of turbines. What we learn from this pilot project may be used in future transit projects. 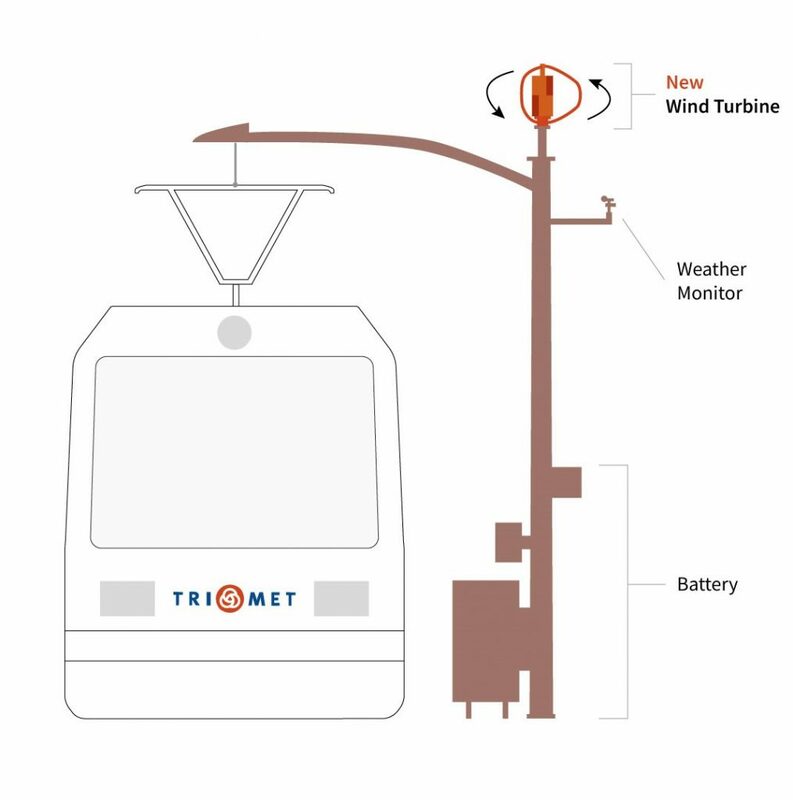 TriMet promotes environmental sustainability in multiple ways. We recently committed to converting to a non-diesel bus fleet by or before 2040, and plan to operate an all-electric bus line in the near future. The installation of the wind turbines is another commitment to sustainability, exploring the viability of wind energy generation in an urban environment.